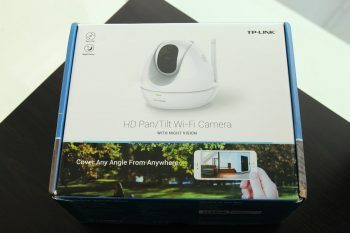 TP-Link NC450 is a smart wireless surveillance camera designed to be simple and easy to use. With everything getting smarter and more connected, we need a better way for remote surveillance as well. The NC450 is designed exactly for that. As it is a wireless network camera, no wiring required apart from the power connection. You are able to connect the camera to your router wirelessly. Besides, it also comes with Ethernet LAN and power over Ethernet support. I suggest using Ethernet connection if you want the connection to be more reliable. There’s no point having just great features but the hardware is terrible. Luckily the camera on TP-Link NC450 is equally as good. Image quality is absolutely amazing on the NC450. The image produced is sharp and crisp. Faces and objects are easily recognisable even after a certain distance. The maximum resolution which the camera can record is 720p which is good enough as higher resolution will increase the size of the footage. You wouldn’t want a big file as the only storage option is using a MicroSD card. The camera operating in IR mode. Shot at night. The camera comes with a great low light performance as well. The camera comes with an array of infrared LEDs and it will automatically switches to infrared mode at low light to have a better illumination. 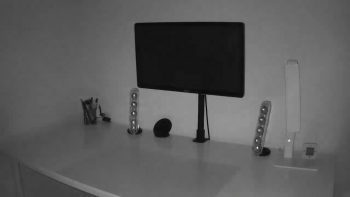 Despite the footage being black and white the camera operates in IR mode, the image produced is still sharp and objects are still easily recognised. You can manually toggle between daytime mode and IR mode in the app as well. Despite all the plus points, I wish the lens can be wider as the current field of view is just 75°. However, to compensate the narrow field of view, the camera does support pan and tilt. You can control the location the camera is aimed at using the app easily. Besides, you can even have it configured to roam automatically. Having great hardware is a head start but the software experience is equally as important as well. 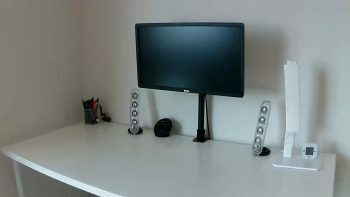 This is where TP-Link NC450 shines. 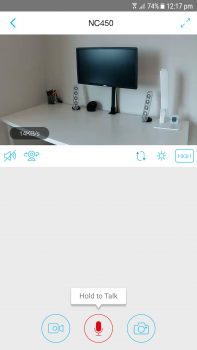 TP-Link have a really good app for their network cameras. It’s called tpCamera and it is available on both Android and iOS devices. 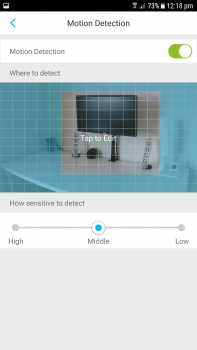 Setting up the camera is just very simple, you are able to configure it directly with the tpCamera app without the need of a computer. 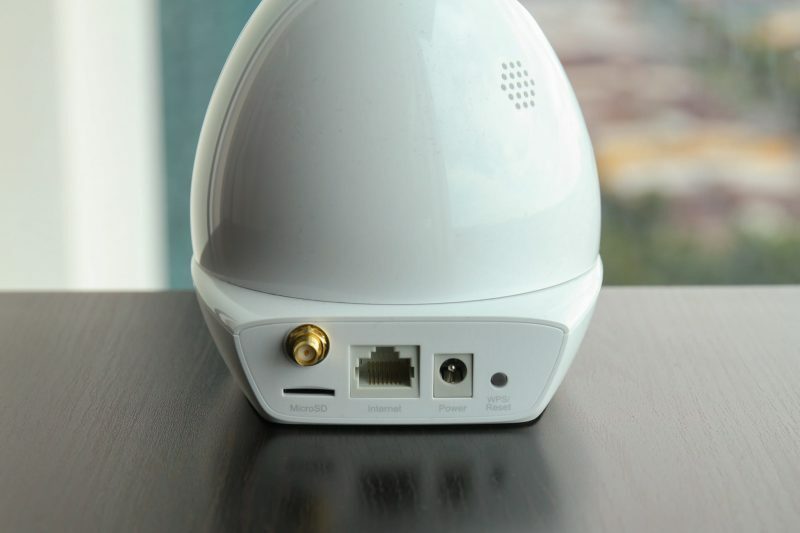 As it is a wireless camera, it works wirelessly so it doesn’t need to be connected to the router with a wire. The app is so good that I don’t even need a computer to set up the camera. 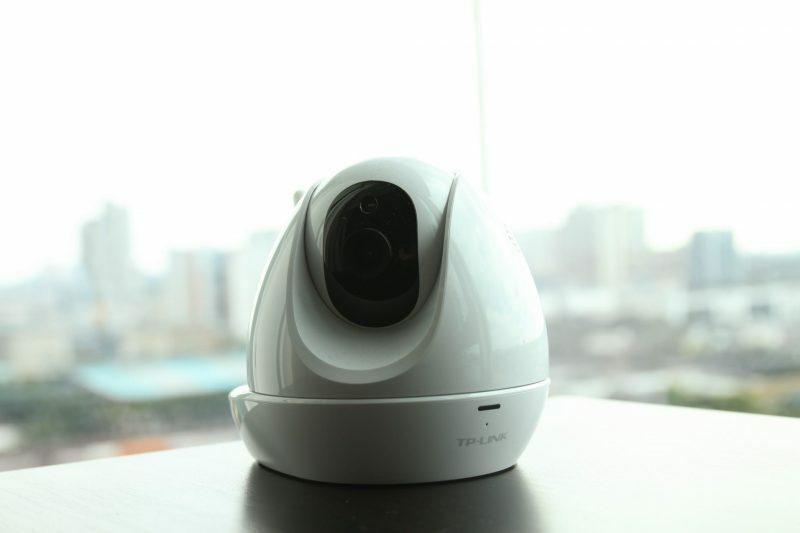 It is powered by TP-Link cloud so it is rather secure unlike a conventional network camera. Speaking of features, TP-Link NC450 is great as well. There’s a motion sensing and sound detection feature which I find it to be really useful. You can have it configured to notify you when the camera detects a motion. 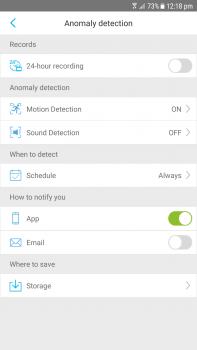 The motion sensing can be configured via the app and you can define which place you want the camera to monitor for motion. Besides, the camera comes with a speaker and microphone. You are able to do 2-way audio communication within the app. 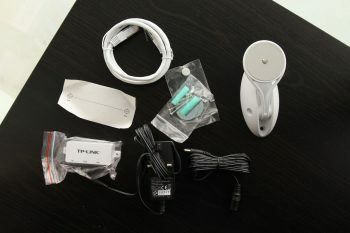 It enables the camera to be a decent baby monitor as well. The recorded footage is saved directly onto the MicroSD card and you can retrieve the footages easily via the app on your smartphones or plug it directly to your PC. I find the built in remote viewing feature to be decent as it is powered by TP-Link Cloud. I do not need to configure port forwarding or anything at the router and it just work. I tried it on various network condition and they all work. It even works with a LTE or 3G connection unlike some other wireless camera. I am able to get it to work on Unifi, Streamyx, Digi and Celcom. My current remote monitoring setup involves the TP-Link MR200 LTE router and 2 NC450 camera. TP-Link NC450 is a great home surveillance camera. It ticks all the check boxes of a good home surveillance camera. Unlike a conventional CCTV system, you just plug it in, set up the wireless connection and you are good to go. The image quality is really good and faces are easily recognisable. The camera comes with infrared capability so it will work even at really low light conditions. The recorded footage is smooth and stable without any noticeable lags. In order for a surveillance camera to be great, the app is really important. There is no point in buying a surveillance camera if you cannot access it reliably. This is where the NC450 truly shine, it is really easy to set up and you can view your cameras remotely via the app. The app is easy to use and you are able to configure everything via the app itself. I particularly like the motion sensing remote notification feature. Not to mention that the camera works on any kind of internet connection without additional port forward required as it is powered by TP-Link Cloud. In short, I recommend this surveillance camera. The price may be higher but it is really easy to use and offers a lot of features. How to connect the camera to the wifi ? May I know what ISP (Internet Service Provider) are you using?